Know a kid who is Minecraft obsessed? 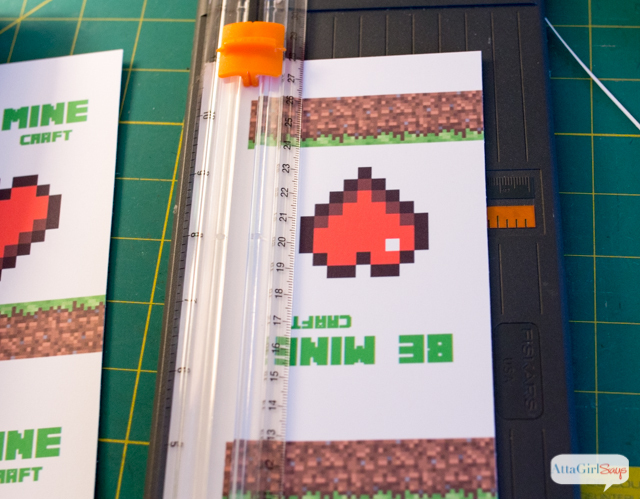 They’ll love these simple, free printable Minecraft Valentines. Click here to print your own. Add a Perler bead heart to make them even better! Valentine’s Day is very tricky business when you’re an 8-year-old boy. You absolutely do not want want the word “love” appearing anywhere on the card in case some little girl gets the wrong idea. And any old Valentine card won’t do. Only a few themes are cool enough for second graders! Minecraft is at the top of that list! 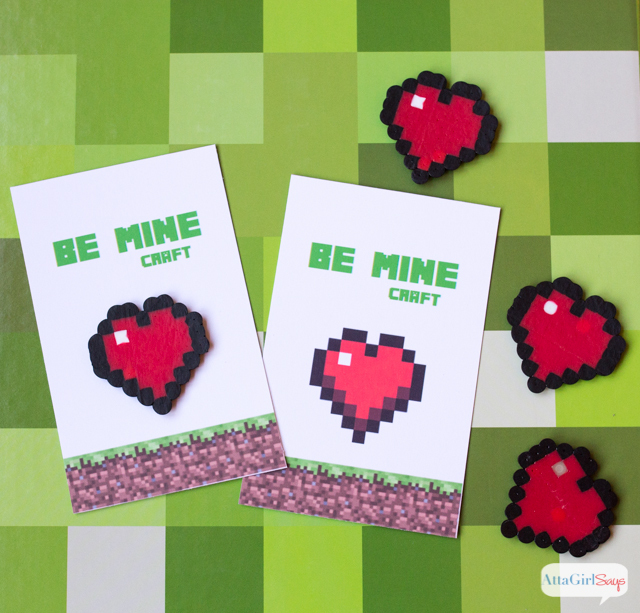 These Minecraft Valentines are 8-year-old boy approved. And they’re super-easy to make. 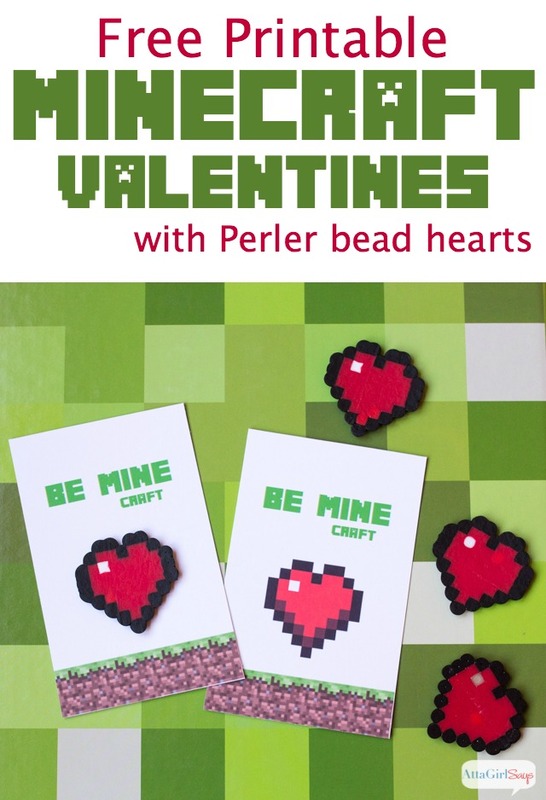 If you’re feeling particularly industrious or crafty, you can make Minecraft health hearts from Perler beads and attach them to the cards with glue dots. 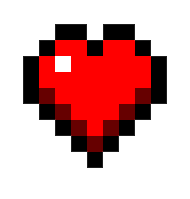 We used this image as our Minecraft Perler bead pattern. 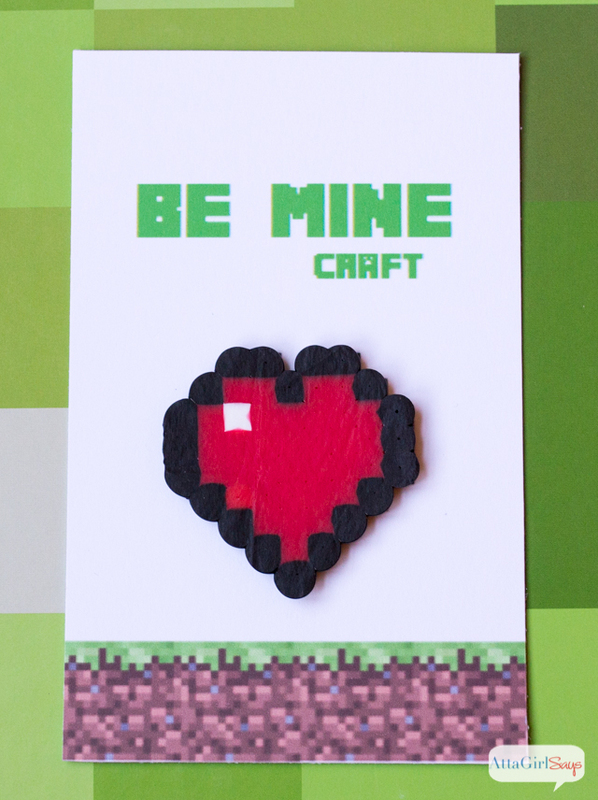 Click HERE for the free printable Minecraft Valentines. 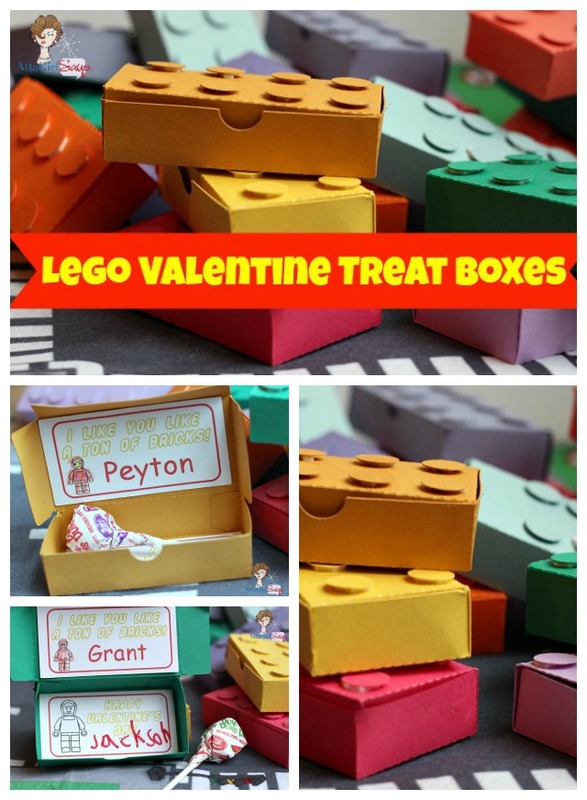 These Lego Valentines treat boxes are also fun to make and give! 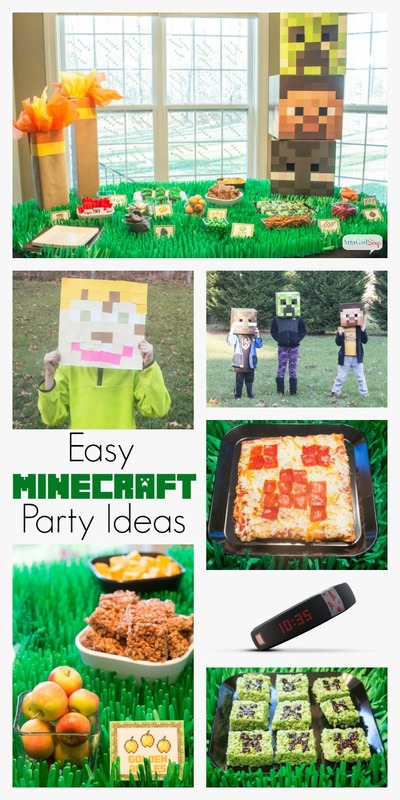 If your kids love Minecraft, don’t miss these Minecraft party ideas. Don’t miss all the kid-friendly Minecraft ideas from Atta Girl Says. Sign up for my Minecraft email list so you’ll never miss a project. 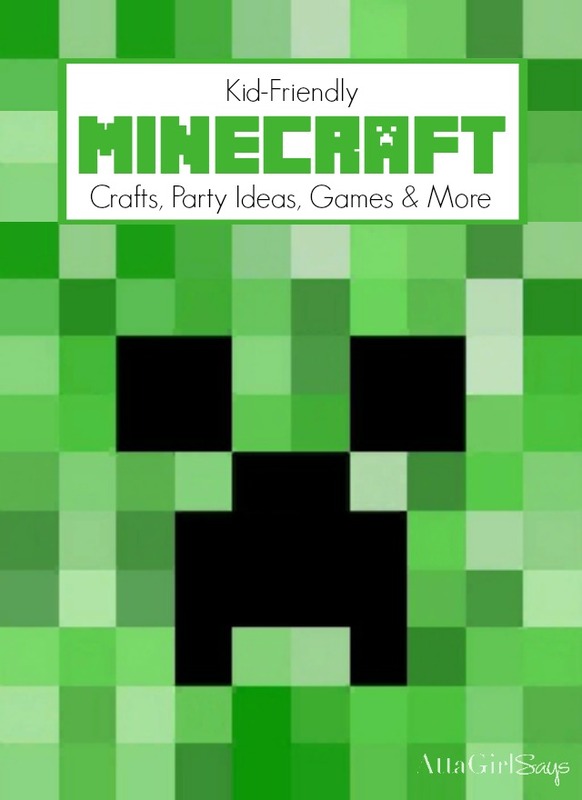 Plus, subscribers get exclusive kid-friendly Minecraft content. Way to turn a cute craft into something sexist. Minecraft is for girls too. And for all ages as well. Stop marketing your things as “boy approved.” This is why toy stores are still segregated. Jess, of course girls love Minecraft, too, and why wouldn’t they? I don’t think I ever said Minecraft is a boys-only game. Or that any toy is exclusive to any gender. Or even that these printable Valentines were for boys or 8-year-olds only. My point in calling the Valentine’s cards boy-approved was specific to my own 8-year-old son who was uncomfortable with passing out any Valentine’s card with a “love” message on them to any of his classmates, male or female. But he was fine with the messaging on these because everyone loves Minecraft. So, I’ll stick by my original wording. These cards were approved by my 8-year-old boy. To your point of gender-specific aisles at toy stores, I would never consciously perpetuate that. I don’t think there should be boys’ toys or girls’ toys. Just toys. I was so happy when Target changed their signage. I don’t have a daughter, just a son, but he’s welcome to play with any toy he likes. His mom plays with power tools, after all.